Our criminal defense law firm handles a large number of crimes involving the possession and possession with intent to distribute (PWID) illegal drugs and narcotics. 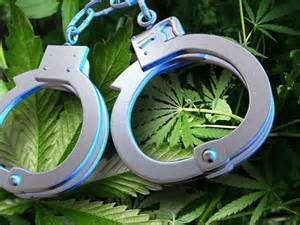 Despite the decriminalization of marijuana, it is still considered a Schedule I controlled substance. While Pennsylvania has become much more lenient on this drug unlike other illegal narcotics such as heroin, crack cocaine, PCP, and methamphetamines, the Commonwealth can, and will, prosecute individuals for felony and misdemeanor offenses related to Marijuana if they use, possess, or attempt to sell it. All of these specific medical marijuana criminal offenses are graded as misdemeanors but are nevertheless serious because it would result in a criminal record if the person was convicted at trial. Further, it is still unknown if these criminal offenses will qualify for many of the pre-trial diversion programs in the Commonwealth such as ARD, AMP, & AMP II. Further, since these offenses are related to drugs within the Commonwealth, there is a strong possibility that PennDot could suspend a person’s driver’s license based on the conviction. As I have written in previous articles, PennDot can take administrative action against person’s driver’s license for a drug conviction even if it didn’t involve a vehicle. New Jersey has a similar provision within its laws but leaves a license suspension to the discretion of the sentencing judge and it is not mandatory. For more information on medical marijuana and drug offenses in the Commonwealth, I encourage you to keep reading this blog and visit my free download section.